The term phoeniciculture is sometime used to refer to date growing. It comes from Phoenix dactylifera, the Latin name for the date palm. The tree grows in Saharan oases and around the Persian Gulf. The date palm is sometimes found at more northerly latitudes, but here it tends not to produce fruit, or poor-quality fruit at best. It needs plenty of water and abundant sunlight, hence the expression: “feet in the water and head in the fire”. There are hundreds of date varieties. They are classed into three different groups by moisture content: dry, semi-dry and soft. Each country has its own date varieties. These may be earmarked for export or classed as commodities and consumed locally. There’s a date for every taste! 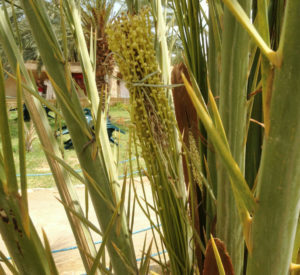 The date palm provides plenty of resources for local people beyond its fruit. 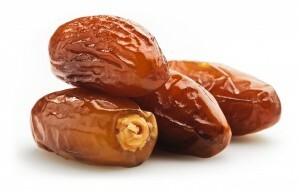 Dates are eaten raw or used to make date honey, as well as vinegar and drinks. The “wood” is used as a fuel or building material, while the palms are used to make basketwork or the roofs of houses. The palm tree is not strictly a “tree” because it does not produce actual wood. Technically speaking, it’s a plant. 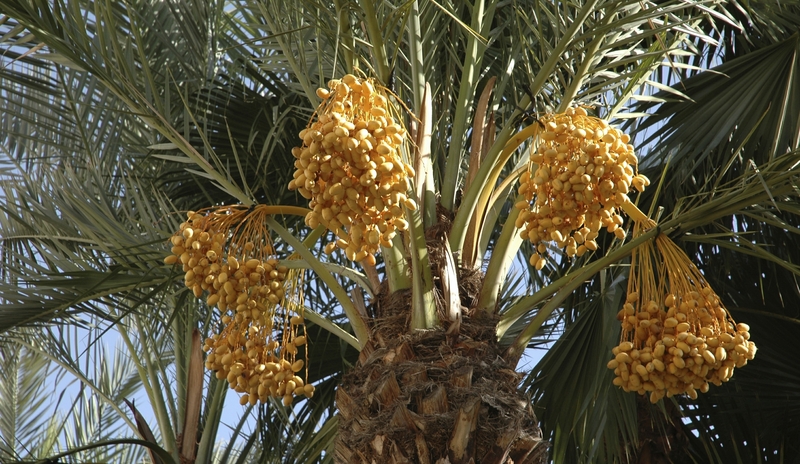 The date palm was one of the first plants ever to be domesticated, an estimated 6,000-8,000 years ago! Today, it grows on every continent. The Deglet Nour (“finger of light”) date is the best-known and most commonly eaten variety. It is popular for its honey-like flavour and translucent colour. The Zahidi (“golden”) date is the roundest variety, known for its golden colour and firm, fibrous flesh. The Allig date is mahogany in colour, long, sweet and delicious, while theKenta date is light-golden in colour and not as sweet as most other varieties. The larger Medjool date, also known as the “queen of dates”, is extremely sweet and fleshy. Tunisia represents 50% of the global population of date palms (Deglet Nour variety), located in two region : Djerid and Kebili. 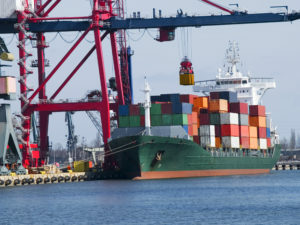 This is also the number 1 exporter by value. Dale palms are grown via a “cloning” process, using cuttings from the trunks of other palms that are then planted. 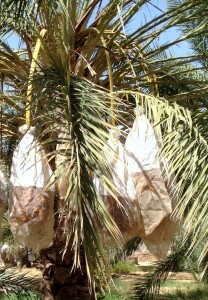 A date palm normally produces its first dates after about 5 years. Pollination happens between March and April. Natural pollination is not enough on its own because the male and female pollen is found on different trees. To ensure a large, regular harvest, wind-borne pollination is supplemented by “artificial” pollination by humans. This involves removing a branch bearing male pollen and inserting it among the female flowers to fertilise them, holding it in place with string. 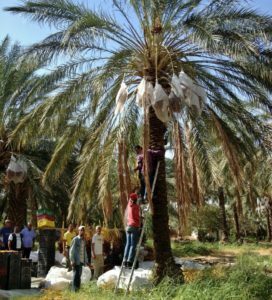 Farmers carry out several operations on the date palms in June to improve the quality of the dates. Half of each bunch of dates is cut away to allow the remaining fruit to grow bigger. Some branches are also removed to improve air circulation. 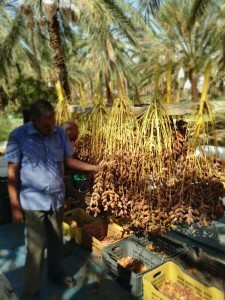 In some cases, farmers remove entire bunches of dates, leaving only the better-quality fruit and those bunches that are most exposed to the sun. 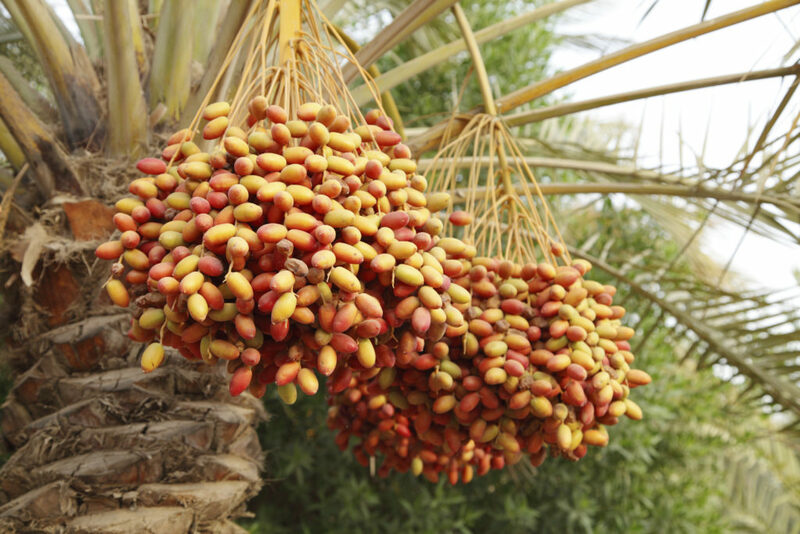 On average, a date palm produces around 100kg of dates. A net or plastic bag is tied around the bunches to protect them from rain and moisture, and to prevent infestation by pests, especially the date moth. Dates are harvested between October and December. Harvesters climb up the trees to cut down the stems bearing the bunches of dates. They are then hung on wooden boards for initial sorting in situ. Poor-quality and unfertilised dates (green/yellow) are removed and used as livestock feed. Dates that are not yet completely ripe are left exposed to the sun for longer. The dates can be pitted at this stage at the customer’s request. They are then taken to a packaging station on the farm for a second, more detailed round of sorting. Here, dates on stem are separated from the rest and the standard (loose) dates are sorted according to size. The dates are then handed over to the packing and export company, which performs further quality checks and the dates may be sorted yet again. The dates are packaged as per customer specifications (in boxes, bulk, etc.). Some dates are already packed into boxes by our supplier in Tunisia. Dates shipped in bulk are processed at our production facility in Marseille. Some are rehydrated to become soft dates. The dates are shipped across the Mediterranean to the port of Marseille before being transported to our production facility nearby. 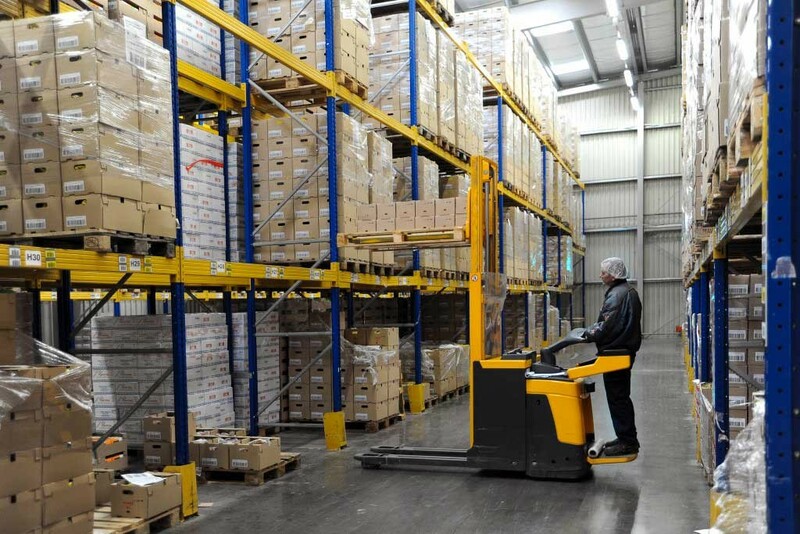 The goods are inspected upon delivery to check that the batch complies with our requirements. At this point, our logistics team takes over, picking and preparing orders for shipping. The team arranges for our products to be delivered to our customers’ logistics platforms before being transported to stores.